“Lots of questions on the road from prospective applicants about visiting schools. Answer: We always welcome visitors to campus. It’s beautiful here and we have lots to show you. Do you need to make a pilgrimage in order to send a signal to the Admissions Office? Absolutely not. Visiting campus has absolutely no impact on how your application is reviewed. It may have a gigantic impact on how enthusiastic you are about US – that’s where the value-added comes into play. Are we going to ask you to sign-in to an information session? Yes. Do we use that list in the evaluation process? No. So why do we ask you to do it? To track whether these sessions have any impact on whether an attendee chooses to apply to HBS or not, i.e. standard market research. If we found out that no one who attended an info session chose to apply to HBS, you’d better believe that we would make some changes! When may I visit classes? This is the tough question. For those applying in Round One, it’s not possible to visit a class before the October 1 deadline. Why? Our first year students begin classes in early September. Our first priority is for them to get settled into the classroom. We have limited seats designated for visitors in each class – and we could fill them every day of the year. The faculty likes for the first few weeks of the first semester to be “students only.” We rely on the students in sections to be hosts for our visitors – and they really aren’t ready to do that right away. Class visits will begin in mid-October; information about the sign-up process will be posted on our website. Applying to business school(s) is expensive and stressful. The last thing you need is to make it a scavenger hunt in which you need have “visited campus” checked off the list. (a) Visiting is good because it will create in you a much sharper appreciation for the school and its particular form of MBA offering. It will help you refine your list of target schools, and make your applications essays more naturally enthusiastic and therefore convincing. 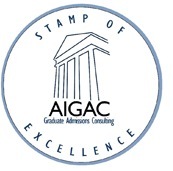 But visiting is not a formal requirement and is not heavily weighed by Adcom in deciding whether to admit or ding you. Use your time with admissions and/or school marketing reps wisely, that is, to ask pointed questions about particular aspects of the program or the school that are relevant to your career progress, so that you come away with specific information that will help you make the right school-choice decision, and then help you motivate this convincingly in your essays and interview. Be aware, the formal visit program will only take you so far. To go deeper into the school’s culture, get talking to students. If you walk up and say “Hi, I’m a prospective applicant, may I ask you about your experiences at this school…” it is likely you will get a friendly and informative response. (b) I’m aware it’s dangerous to offer HBS blog text as a writing model because applicants will mimic this style. Do NOT do this. But it has elements worth noting. It’s informal-formal, like recorded speaking. There are no mistakes, but the copy is not stiff and overly “written.” In this way the author comes across like someone you’d like to meet. Also note the the rhetorical question-and-answer style. It doesn’t always work, but when it does it is a superb device for getting information across quickly and clearly. Overall the text has a crisp, to-the-point feel, but it is not rushed or clipped. 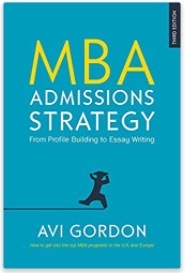 Your MBA admissions essays are not a blog, but information-laden crispness that suggests you are worth meeting is exactly what you are looking to achieve.